A 14th inning home run might have won this May 1986 regional game, but The South Florida Sun-Sentinel wrote afterward, Keith Fleming and his relief work made the win possible. Fleming went six innings in relief, taking his team into that 14th inning to pick up the win, The Sun-Sentinel wrote. "Fleming did a great job of relief for us," Georgia Tech coach Jim Morris told The Sun-Sentinel. "Keith ran into a little problem in the 10th inning, and when we talked to him, he told me he wanted to stay in and pitch. He's been here for four years, and when he tells me he wants to pitch, Keith Fleming is going to pitch." Fleming went on from Georgia Tech to pitch in the pros. He got into five seasons, made AA, but didn't make it higher. Fleming's career began in 1986, taken by the Brewers in the ninth round of the draft out of Georgia Tech. Fleming won team pitcher of the year honors in 1986. He remains in the top 20 at the school for strikeouts per nine innings, appearances victories and strikeouts. His 21 saves is still second best. For his time at Georgia Tech, Fleming made the school's Hall of Fame in 1991. With the Brewers, Fleming started at rookie Helena and single-A Stockton. He got into 27 games, saved seven and posted a 3.99 ERA. He played all of 1987 at Stockton. He got into 51 games and dropped his ERA to 2.04. He went 6-7 overall, including losing seven-straight decisions at one point. He also saved 16. 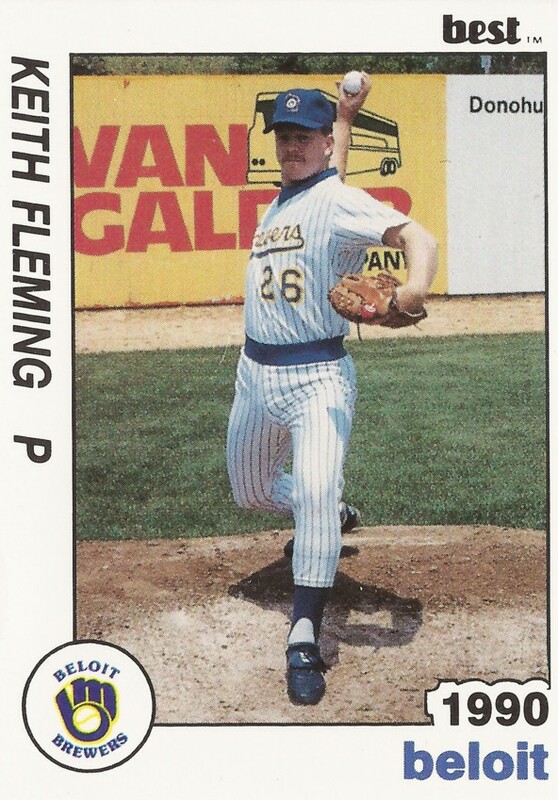 Fleming made AA El Paso in 1988 getting into 35 games there, with a 4.08 ERA. He then returned to El Paso for parts of 1989 and 1990. A Fleming pitch in April 1990 started a fight. He turned in an 8.15 ERA in 14 outings there in 1989 and a 7.03 mark over 18 outings in 1990, ending his career.